On June 8th, 2017 Corp! Magazine gathered 85 top performing companies at the International Banquet Center in Detroit Michigan. 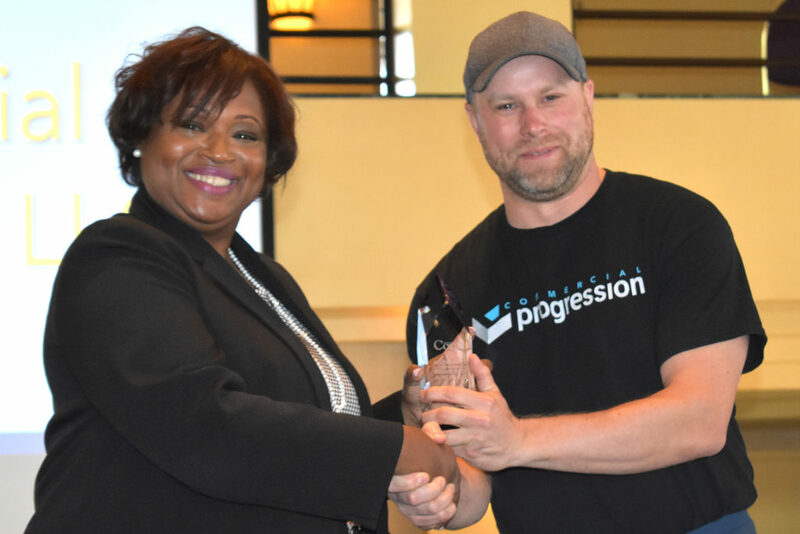 Commercial Progression was honored to be recognized as a top performing Michigan web design company. 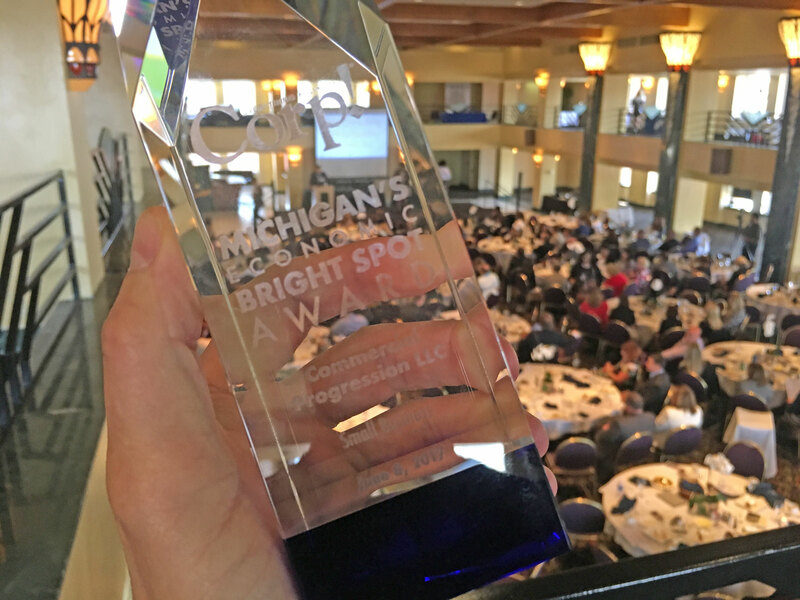 The Michigan Economic Bright Spots Award ceremonies for 2017 collected many impressive honorees on the award stage, including; HelloWorld, Moosejaw, Grand Circus, and Duo Security among others. Commercial Progression is focused on designing, developing and supporting world-class Drupal-powered websites. 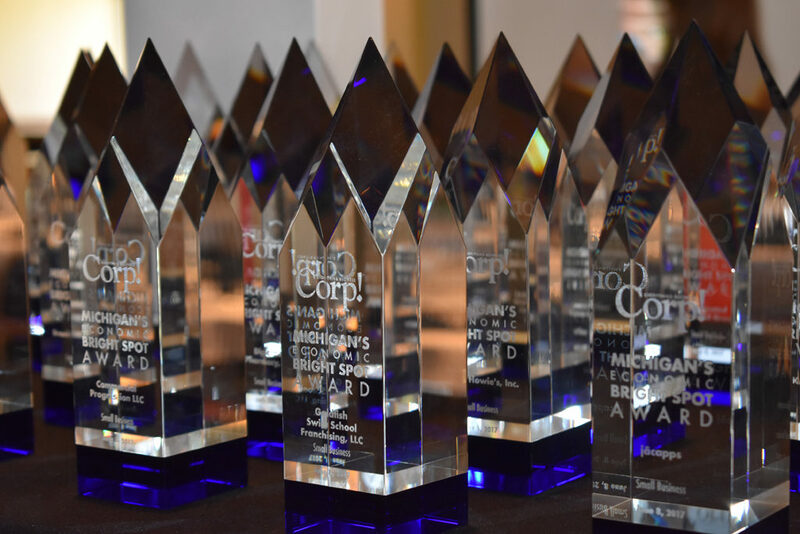 “As an established Drupal consultant, we provide comprehensive web strategy and execution for all types of Drupal projects: higher education, manufacturing, nonprofit, health care, marketing and e-commerce,” said President Carl Triemstra. Its growing client list includes National Geographic Channels, ZF-TRW Automotive and the University of Michigan among others. In 2016, Commercial Progression, which has 14 Michigan employees, merged with Symmetri Marketing Group, a Chicago based full-service B2B brand and digital marketing agency focused on helping organizations create interactions that are meaningful to their customers, and to their brands. Commercial Progression’s continued growth in clientele and projects for 2016 and 2017 was aided by an extended team of marketing professionals and digital strategists with Symmetri Marketing Group. “Landing and keeping high profile clients like The Nature Conservancy is a complete team effort, our 40 plus person team now has the depth to take on large web development projects with aggressive strategic goals, “ said Triemstra.